How you decorate your home will obviously be very important to you. You will want the house to reflect your personal tastes, you will want the décor and the furniture to work together to create the stunning interior design you have in your mind, in short you will want to make your house feel like home. However, the way in which you decorate isn’t the only thing that will make your property feel homely, there are many other factors involved, one of the most important being lighting. Most people do not give much thought to lighting, they might add a lamp if they find one that matches their décor or change the light fittings to something more exciting, but usually people do not consider the features they want their lighting to have. It is not as simple as sometimes you want the lights on and other times you don’t, there are times when you might want less lighting or more. For example, everyone has that transition period, the time when you have just woken up in darkness and want to slowly transition to full lighting, or just before bed when the main light hurts your tired eyes but the darkness is just too dark to do anything other than sleep. Equally, everyone has times when they want to set the mood, the best way to accomplish this is through lighting. There are many varieties of lighting for you to choose from including: overhead lighting, lamps (table and freestanding) LED lights and even accent lights, to name a few. All of these provide a different atmosphere and feel to your home, setting the mood of your choosing. Romantic: to create this mood you need softer lighting, with warm and soft colours. Try candle light or lamps/lights with dimmers to create an intimate and relaxing feel. Lively and cheerful: to create this mood you need the room to be brightly lit, with plenty of lamps, spotlights and a variety of other lights on. Warmer colours tend to create a more cheerful vibe, such as orange, red and yellow. Morning and night time: here you will want to create a mood that embraces the half asleep-half awakeness you are feeling. This also requires soft lighting, though not as soft as a romantic mood might, again dimmer switches are perfect here as you can gradually increase or decrease the light to ease you into the waking up/going to sleep process. 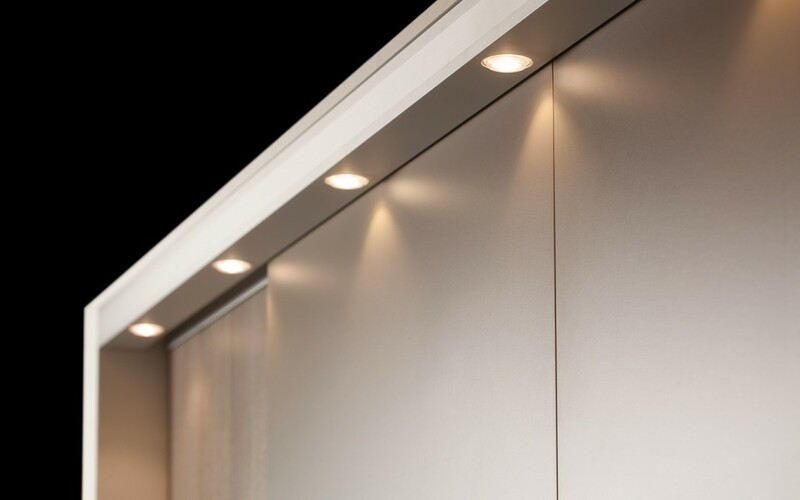 Accent lighting: this is perfect if you want to draw attention to a specific part of your room or things within your room, furthermore it adds dimension and is very welcoming to guests. So as you can see, lighting plays perhaps the biggest part in setting the mood of your home.